At the beginning of September, the pupils of P5 and P6 began to think about how they could make the road outside school safer. 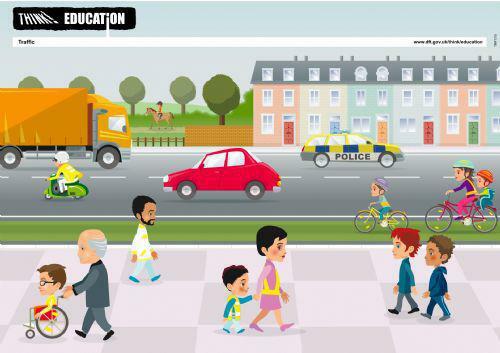 So far, this has involved them in learning about what is safe and unsafe behaviour on the road; how to read a range of road signs; how to cross the road safely and what some of the problems in Church Avenue are. They also used a satellite image of the area around school and discussed a variety of ways of solving the problems they identified. This still a project in progress, but have a look at some of the pictures below which will give you an idea of their work to date.